We have many years experience in supplying high quality monument all around the world. 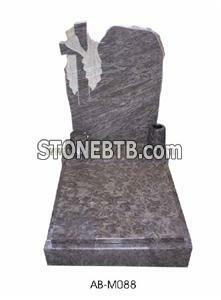 We offered a remarkable wide range of stone funeral products. 2) Various dimensions and colors are available. As per customers detail drawing / available in a wide range of shape and specifications. 3) Typical granite material: Absolut black (shanxi black), paradiso, faradiso bash, tropical green, viscont white, multicolor red, India aurora, bahama blue, blue pearl, G603, G623, G664, China Juparana, G435 and so on. 5) Packing: Strong Fumigated Wooden crate with Plastic film and foam. 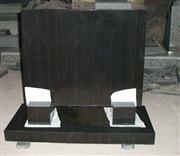 western style monument we can make it according your requirement. Jumpanese style monument, we can make it according client's requirement.